The City of Delaware City is a political subdivision of the State of Delaware, operating under a Charter granted by the Delaware General Assembly. The city operates as a municipal corporation with home rule powers granted under its Charter. 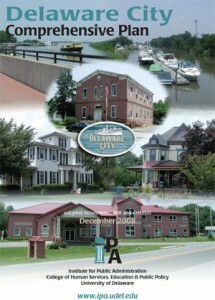 The Code of the City of Delaware City was adopted by Mayor & Council in 2001. The Code incorporates ordinances adopted prior to 2001 and has since been amended through the adoption of ordinances by Mayor & Council. Delaware City delegates building code authority and inspection and property management code enforcement to New Castle County.